Franklin Pierce was the youngest of John and Catherine's children. There are a number of photographs that exist of Franklin and his wife, Nancy Ann Offineer, but relatively little is known about his life. The 1880 Census shows that he lived with (and likely studied with) an ordained minister while in his twenties. However, at his death of spinal meningitis in 1894, he is listed as a laborer. 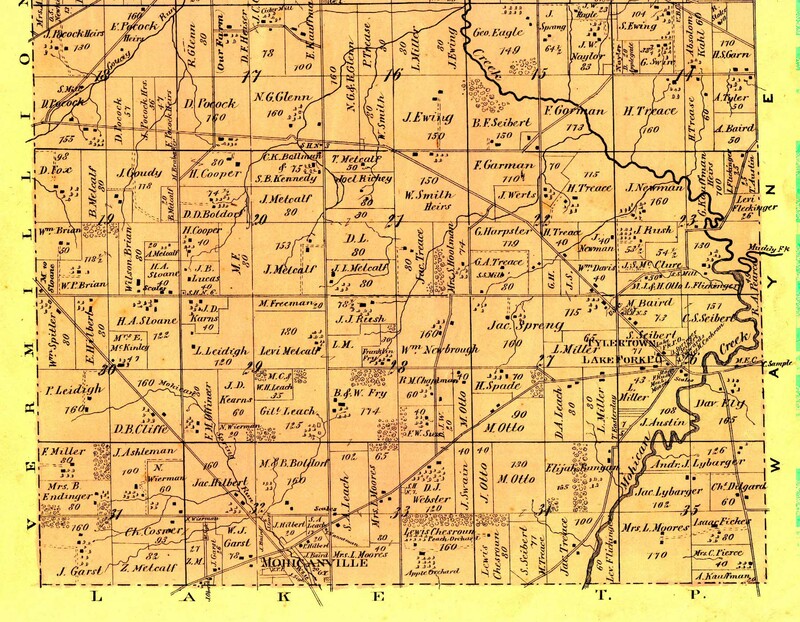 The Caldwell 1874 Atlas of Ashland County shows the family living just north of their parents farm, which by this time is owned by brothers Benjamin and William. Wife Nancy Ann Offineer would live well into the next century, dieing in 1920. Their eight children were: Della (1870-1957); George Benton (1872-1946); Mary Catherine (1875-1948); William D. (1879-1959); Flora Ethel (1882-1960); Cora (1885-1929); and John (1887-1890). Though it has been impossible to trace Franklin's grandparents, Nancy Ann Offineer's ancestors can be tracked back three more generations to the pre-Revolutionary War era. 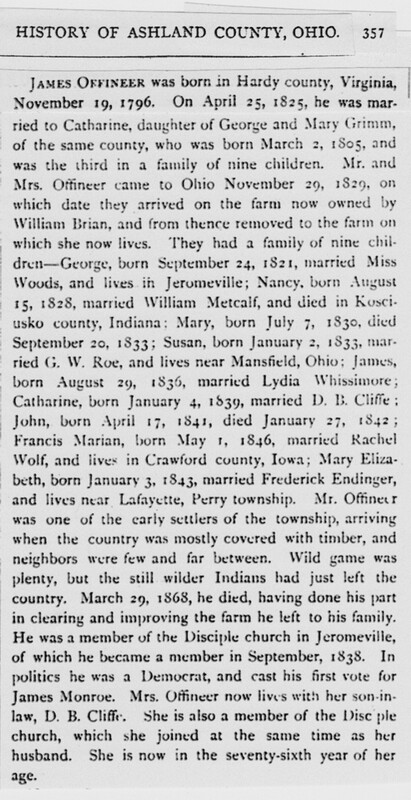 Offineers were also long-time residents of Mohican Township, and both her parents and grandparents are buried in Ashland or Mohicanville. 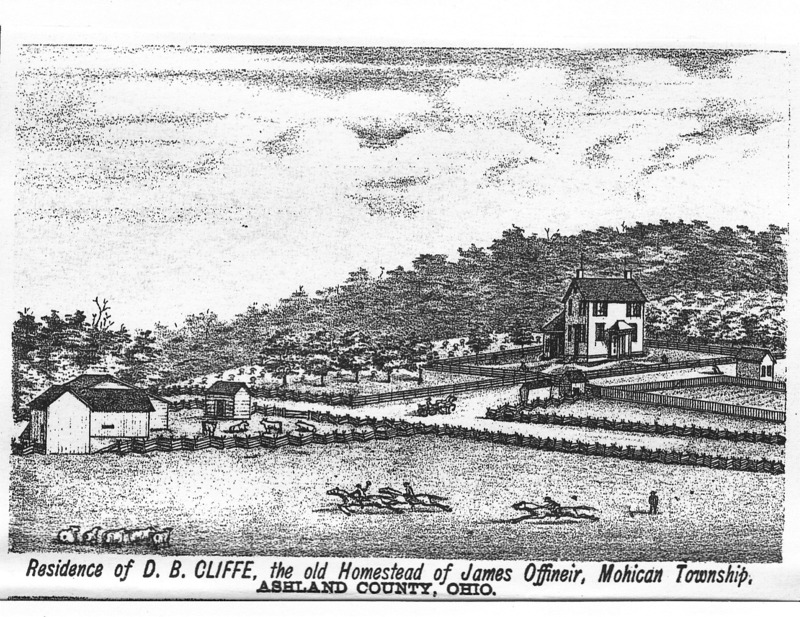 Her father, James Offineer, is profiled in the History of Ashland County, Ohio and a drawing of his farm is also in the book, printed in the early 1880s. The original Offineer homestead would pass to daughter Catharine and son-in-law Daniel B. Cliffe. Nancy Ann's mother (née Catharine Grimm) would also live there until her death in 1889. The Daniel Cliffe/James Offineer property is also in the 1874 Caldwell atlas, making it possible to visit on OH route 179 today. * Franklin and Nancy's 1874 home and farm of 30 acres still exists on Township 2150, just east of OH89 and just north of Mohicanville. These pictures, taken by Vicky Forbush in 2008, show the home and the farm. * Nancy Ann Offineer (1853-1920) and Franklin Pierce Fry (1852-1894) portrait photos. * Photo of Franklin Fry with four of the children: Cora, George, William and Della. 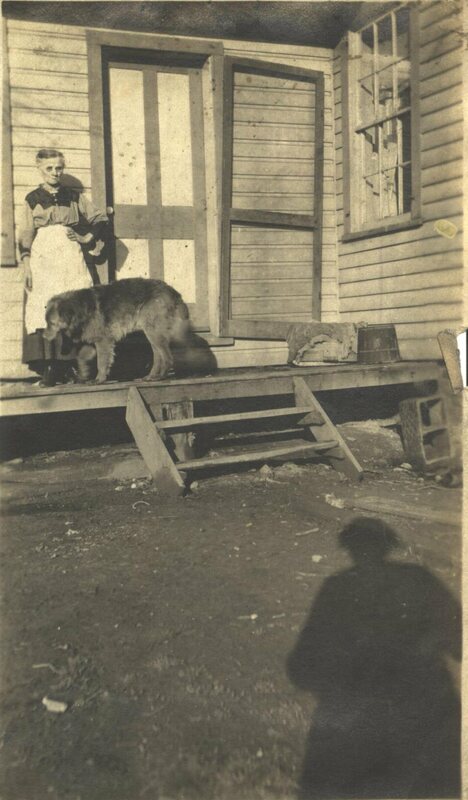 * Two views of Nancy Ann Offineer's children in 1919, one from the Young family book and the other a raw photograph. Both include Flora Ethel Fry Young, James Earl Fry, Mary Catherine Fry Kohst, William D. Fry, Cora Fry McClelland, Della Fry Baker, George Benton Fry and their mother. * Photo of Nancy Offineer Fry, also circa 1919. * Nancy Ann Offineer Fry with Charles Haun, likely after his return from World War I in 1919. Charles was married to her grand-daughter, Myrtle Fry. * Nancy Ann Offineer Fry, circa 1919-1920. 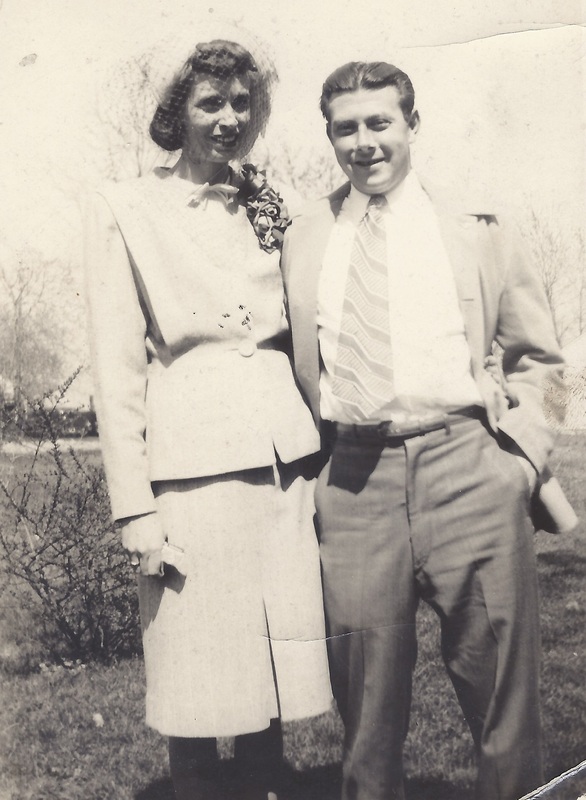 * Della Fry Baker and George Benton Fry, circa 1940. * Four Fry siblings in old age: probably James Earl, Della, William D., and Flora Ethel. * Myrtle Haun with her three uncles: Clarence Sisson (standing), William and James Earl Fry. The photograph is facing east on the lawn at Mont & Leona Fry's Greenwich, OH farm, a popular site for family reunions in the 1950s and 1960s. * Two of Mary Catherine Fry Kosht's 16 grandchildren, Esther Kosht Bailey and Richard Kosht, around 1940. 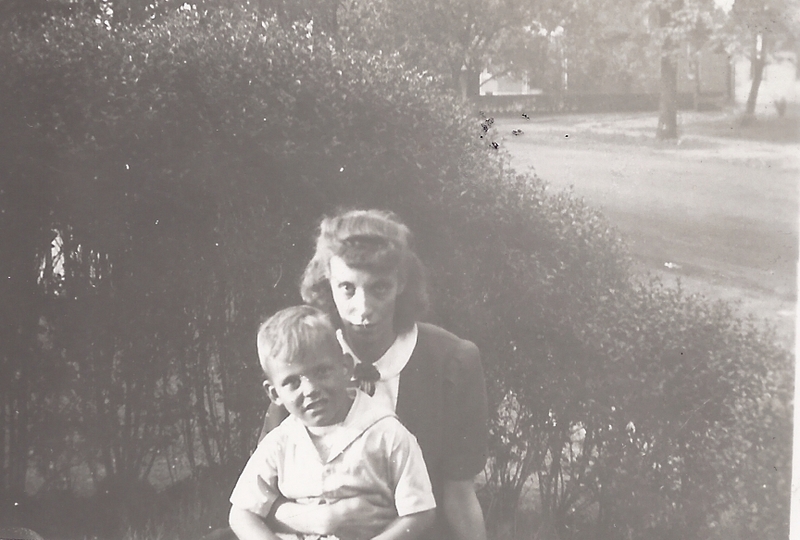 * Esther Kosht Bailey (Mary Catherine Fry's granddaughter) and her son, Lynn Bailey, about 1941.